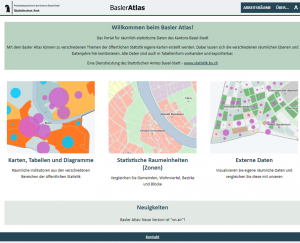 The canton of Basel-Stadt is the first Swiss canton to publish the new version of its atlas, updated with Géoclip Air. In terms of content, everything has remained on the same basis, but our Swiss friends appreciate the evolution, both visually and functionally. They are particularly aware that the atlas works equally well on all devices, whether on desktops or mobile devices. For our part, we appreciate the attention to detail and precision of the Swiss background maps, which allow, for example, the results of the census to be returned to the block level, the equivalent of the French iris. 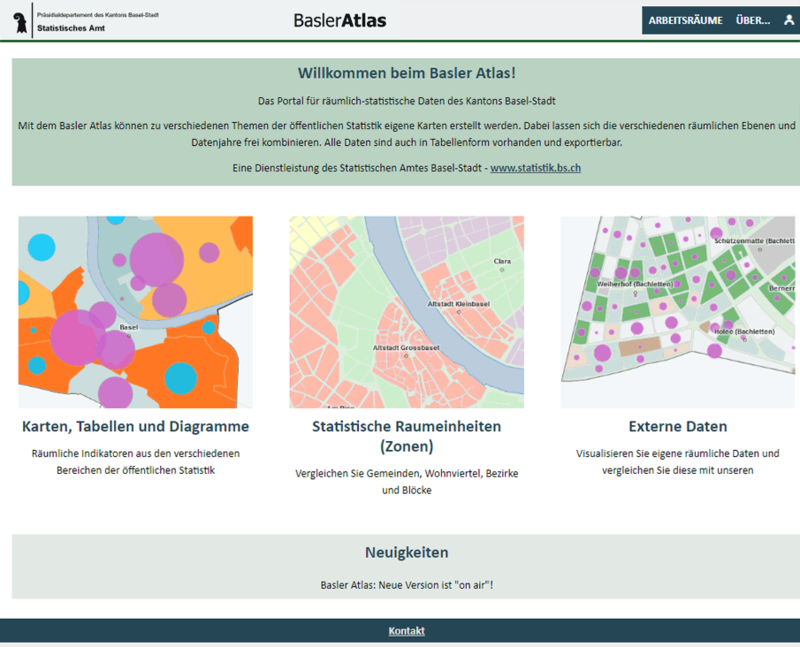 Another feature of this atlas is that its interface is fully translated into German. Another cross-border atlas will soon be available online, which will be multilingual.